John's Upholstery is a 5th generation establishment forming in Pueblo Colorado in 1955.Great grandparents Al T and Jenny Griffin opened their upholstery/drapery/mattress company that year,each generation since has been an active participant in the business.We offer knowledge and experience in the upholstery and furniture industry that enables our clientele the very best options in upholstery and custom furniture.The Griffin name speaks quality. 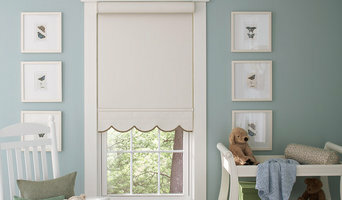 I am a Denver area window treatment and upholstery expert, redesign, decor consultant and accredited stager. I studied Fine Art at the University of Colorado and have been working in the industry for almost 20 years. I began my career in design as a window treatment consultant, but I realized that fabric and furniture quickly found its way into all of my projects. Artists have an eye for detail, color and light. Our vision is to make all the details in the room work together with your style to create a beautiful and functional space. Contact us for your window treatment and upholstery needs! DC Upholstery is your one stop shop for custom, high end furnishings. The workshop is devoted to the integrity of good design and quality. Half woodshop, half upholstery shop, we are able to build it all under one roof. We have worked almost exclusively on the referrals of Colorado's most distinguished families and design professionals. We care about the needs of our clients and continue to build our knowledge and love of the industry each day. 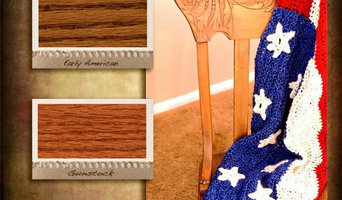 We work with a wide variety of styles, from traditional to transitional to modern. We believe in quality products that will suit your taste, match your décor, fit into a particular space, and support your unique lifestyle for a long time. 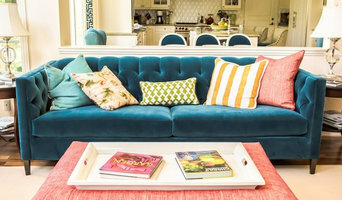 Whether a mere image of inspiration or shape, or a specific need for a body type or sit/comfort, DC Upholstery can work off of many different needs or desires of design. Our goal is simple, our ability is wide, our standard is high, and our shop maintains a sincerity worth having. Heartistech, LLC is the professional Refinishing and Repurposing service for you! This is where pieces go to get restored to their former glory and where the technique comes from the heart. We specialize in working on vintage wood furniture from small projects looking for a little TLC (removing scratches, water stains, etc) all the way to fully refinishing pieces to be restored to their former glory. At Black Canyon Design Group, we specialize in custom upholstery and custom furniture building and design. Our philosophy is that good design is composed of equal parts style, comfort, and functionality. All pieces are constructed of hardwoods; then, depending on the particular design, we use materials such as decorative nails, leather braiding, and forged metals. We also make extensive use of exotic woods to create a truly distinctive piece of furniture. Since 1979, our family owned and operated upholstery shop has been Denver's #1 destination for quality upholstery. We are experts in upholstery and upholstery repair. Not only is our work beautiful to look at, it is also comfortable. We take the time to find the best cushioning and upholstery foam for your piece. With a huge variety of fabrics to choose from we can make your window seat, chair, couch, bed and/or bench a custom work of art. Are you a business owner in need of an upholsterer? We have a wealth of knowledge and background with commercial projects. Stop in today and talk to us about your upholstery needs! Furniture re-upholstery, antiques, custom cushions. Residential and Commercial. Kin Furniture Co. is a furniture repair and restoration company. With 20 years of collective experience and a passion for antique and vintage furniture, we have the skills to tackle any furniture repair or restoration project that comes our way. We are a professional upholstery and refinishing workroom and have been serving the Denver metro area communities since 1954. We are experts in upholstery building upholstered furniture and finishing. We have repaired many pieces of broken furniture. Some times we have had customers bring chairs to us in a box and we have fabricated parts, repaired pieces and re-assembled items. 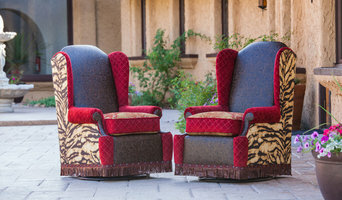 Clifford's was established in Colorado Springs in 1967 by Clifford Ritchie, a 2nd generation Upholsterer. It has grown to include all 3 of his sons at various times and is currently managed by his eldest son Brett Ritchie. It has always strived to offer quality workmanship at a reasonable price, in a non smoking environment, catering to any requirements or special needs that our customers may demand. Home furniture repair companies in Highlands Ranch, CO are in the business of rehabilitation; they repair, refinish, restore and reupholster broken — but beloved! — furniture. 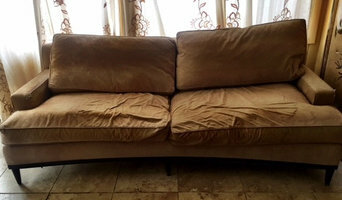 It is usually more cost-effective to repair furniture instead of buying new pieces, so whether you’re looking for leather couch repair services or custom upholstery, these professionals can take your furniture from broken to beautiful. Re-upholstery/upholstery repair includes redoing/outfitting items like chairs and sofas with springs, padding and fabric coverings. This can also include adding fringe, piping, tufting or additional decorative elements to a furniture piece. They can also advise you about the pros and cons of different fabrics so you can choose the best type for the project in your Highlands Ranch home. Find Highlands Ranch furniture repair professionals on Houzz. Narrow your search in the Professionals section of the website to Highlands Ranch, CO furniture repair.